With globalisation turning the world into a “global village”, local businesses need to start benchmarking against global best practices if they want to maintain their competitive edge in the market. Who are your biggest competitors? Take a moment to list them. If your mind leapt straight to other national brands, chances are you’re mistaken. Your biggest competitors may not be found locally, in fact, they may not even be in your industry. When it comes to customer service, your customers aren’t comparing you to other national brands. They’re comparing you to every digital interaction they’ve ever had. That’s some tough competition. Whether you know it or not, your competitors are brands like Amazon, Walmart, Ikea and Bed, Bath & Beyond. This is thanks to globalisation. How does globalisation affect supply chain management? Unless you’ve spent the past two decades or so living under a rock, you’ve likely encountered the terms "globalisation” and “global village” with increasing frequency. For those who’ve never encountered these two terms, here’s a quick definition. . . According to the Oxford English Dictionary, globalisation is “the process by which businesses or other organisations develop international influence or start operating on an international scale”. Global village is defined as “the world considered as a single community linked by telecommunications”. The term “global village” was coined by the Canadian philosopher, Marshall McLuhan, in the 1960’s, to describe the convergence of space and time through advanced technology. Globalisation is both a blessing and a curse. On one hand, it opened up a new world of opportunities for brands (in the form of new customers and markets), on the other hand, globalisation brought with it a new set of risks. You’re no longer looking to your backyard for competition - you’re competing with world leaders. Globalisation makes supply chain management both increasingly complex and critical to your bottom line. But how do you achieve a world class supply chain? It starts with research, planning and benchmarking your warehouse processes - not against other South African brands necessarily, but against brands whose success you’d like to emulate. Benchmarking your warehouse processes against world leaders (also known as qualitative benchmarking) will future-proof your business. Benchmarking will not only give you a clear indication of where your warehouse stands currently, in comparison to competitors, but it will lay the foundations for ongoing optimisation, testing and measurement. Need help benchmarking your warehouse operations? Our supply chain experts will assess your needs and make recommendations to help you achieve world class industry best practices. 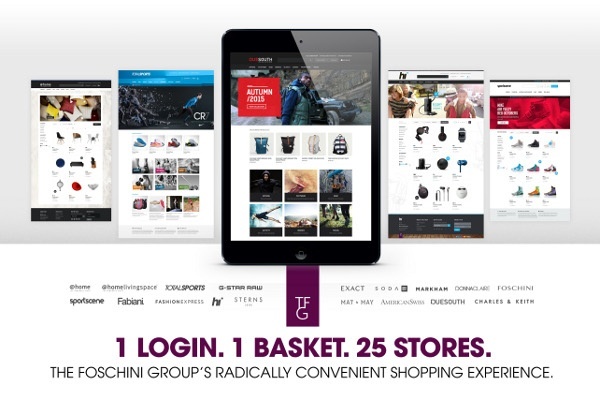 Take a look at how the South African retail company, The Foschini Group, updated their supply chain to deliver a world class customer experience. What does a world class supply chain look like locally?